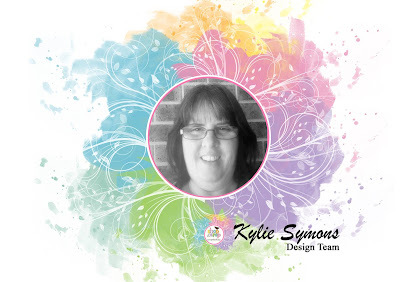 I really hope you like the layouts I have created and that I have given you some inspirational mojo for summer. 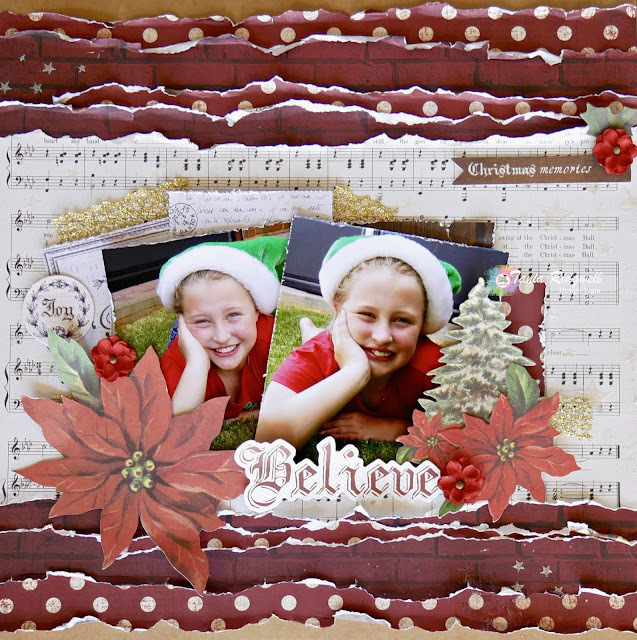 With Christmas fast approaching I thought some Christmas layouts would be perfect to share with you all!! 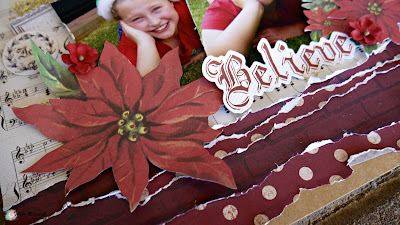 First Up my "Believe" layout. 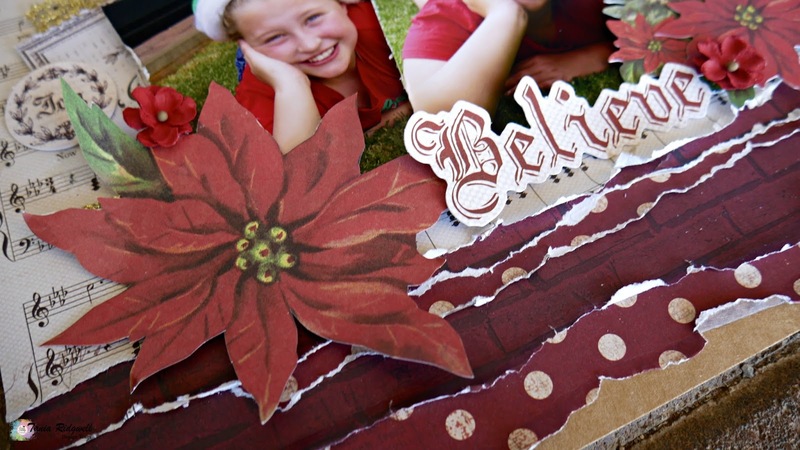 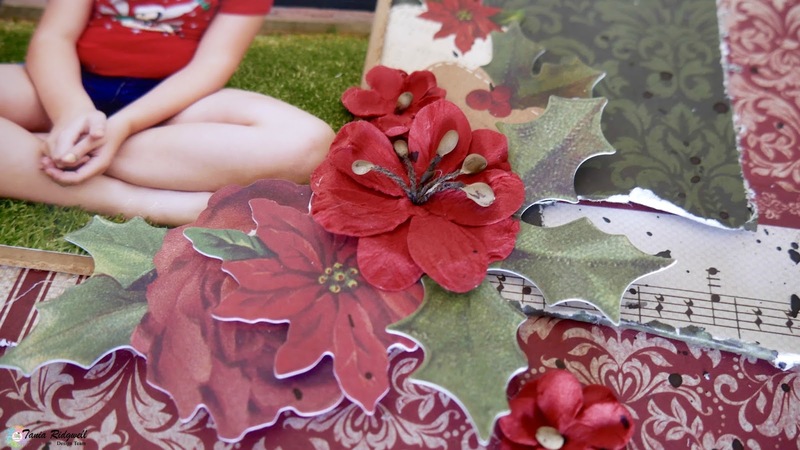 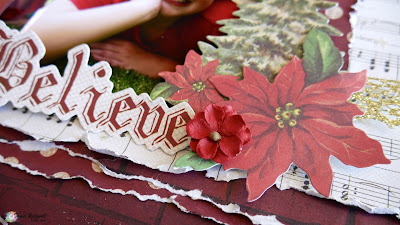 For my next page "It's the most Wonderful time of the Year" layout, I used the gorgeous specialty paper from the kit and again added lots of fussy cut Poinsettia's! 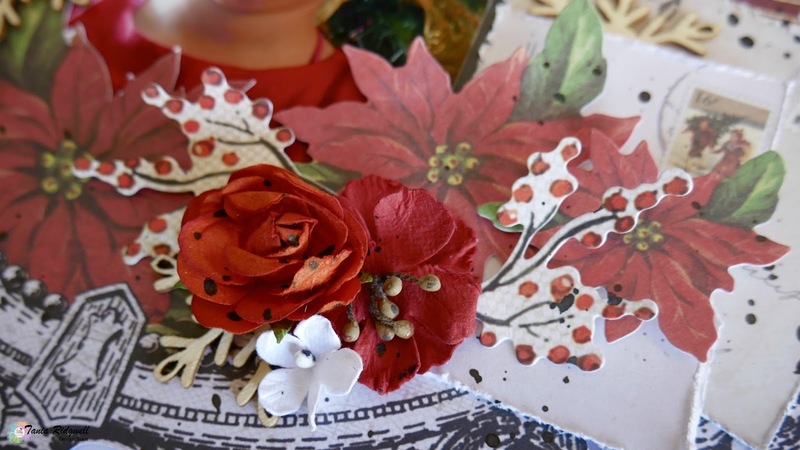 I embellished my page with more collectables from the kit and some Kaisercraft Lucky Dip Wooden Snowflakes and finished this page also with a few flowers from my stash. 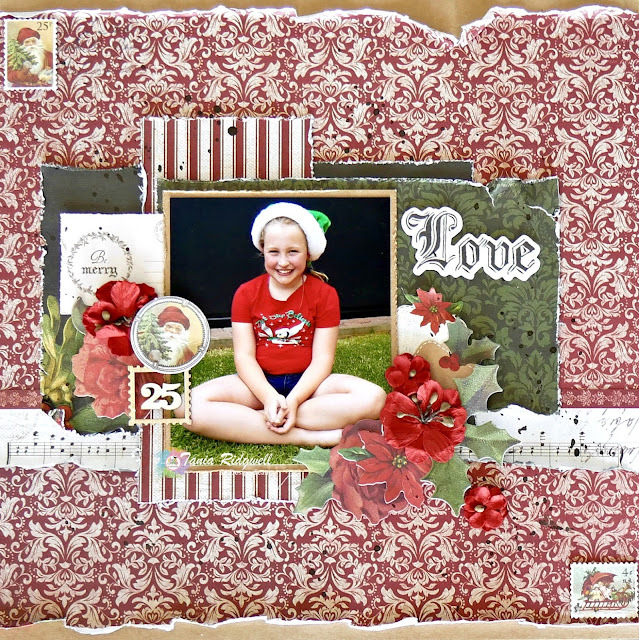 My final page I have to share today is my "Love" layout! 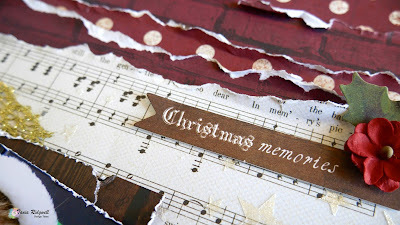 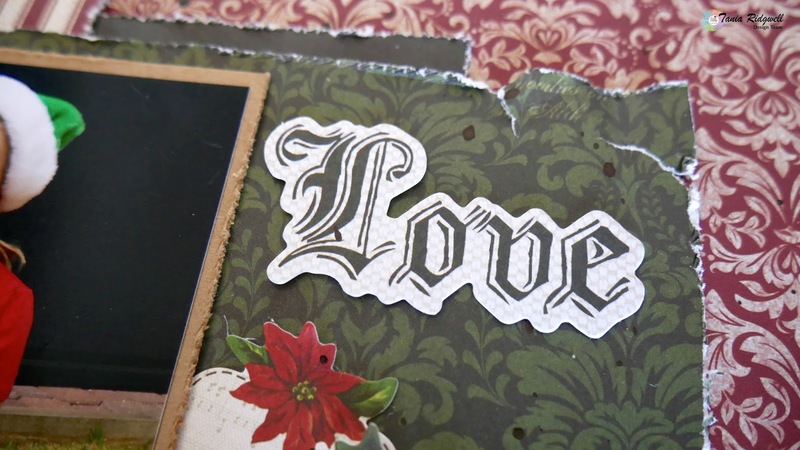 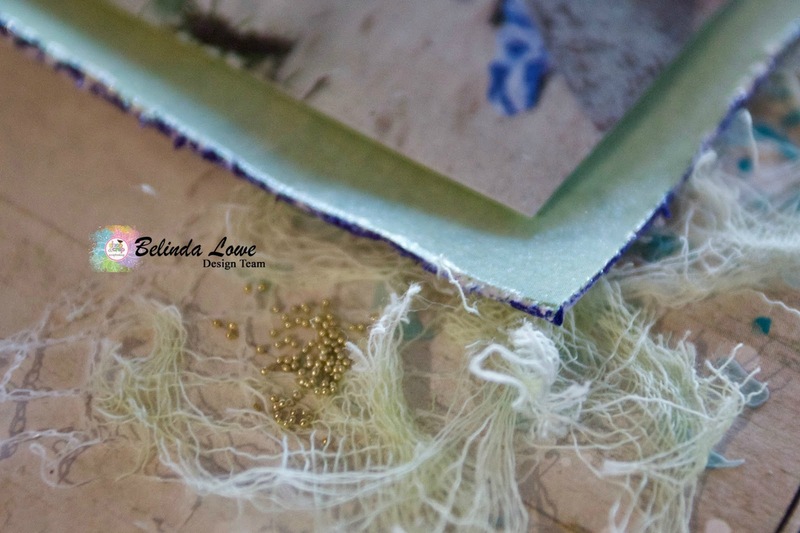 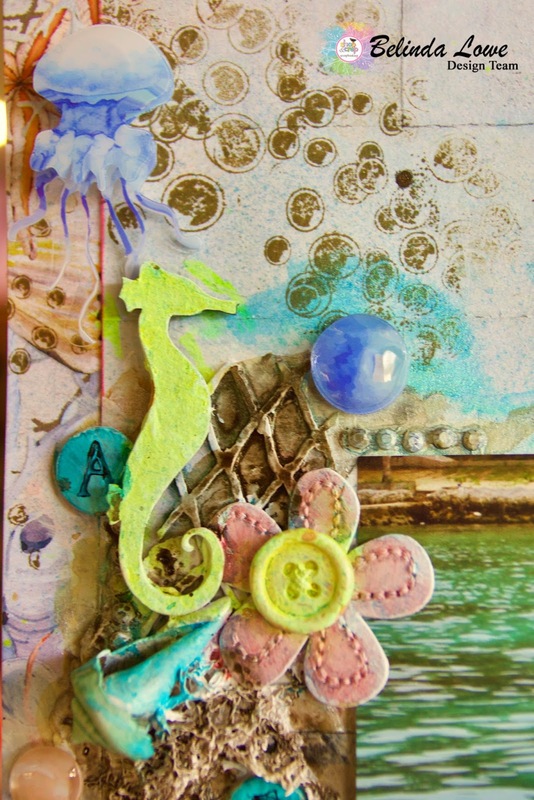 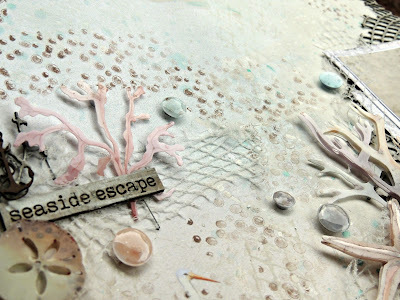 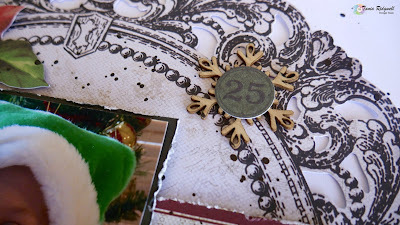 On this page I used lots of scrap pieces which I roughly distressed. 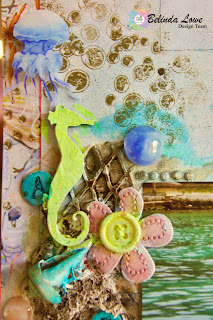 I added collectables to this page and a few more flowers from my stash! I do hope I have inspired you a little to get creative, whether you have this kit or even one of our other kits! Well that's all I have for today, I will be back next month to share a few more projects using this gorgeous Kit, I can't believe how many projects I have gotten from this kit and I still have so much left over, such great value for money!! 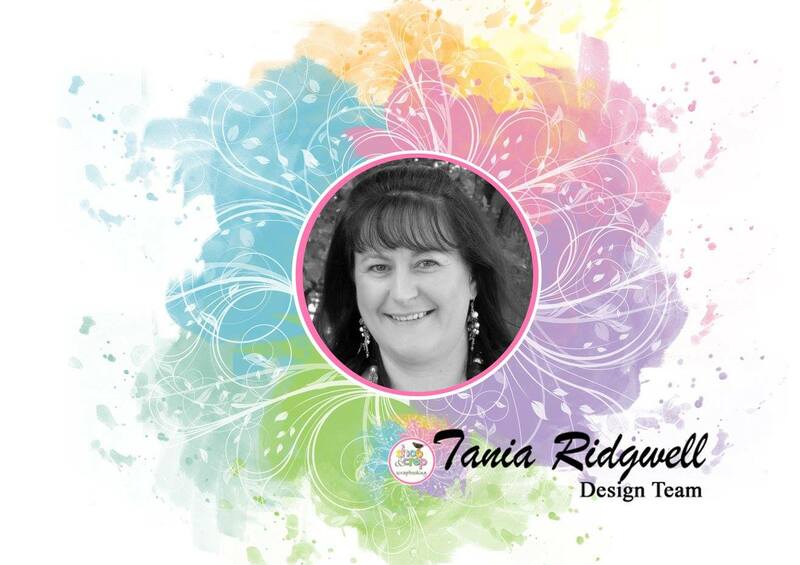 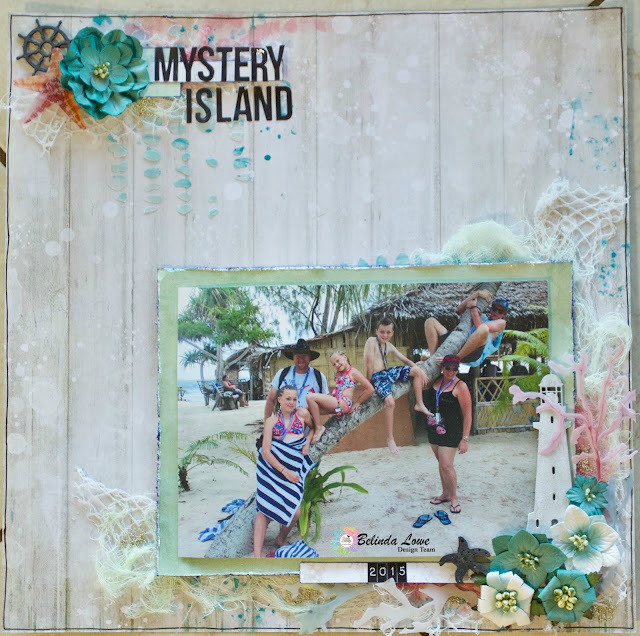 Be sure to pop over to the store here and check out all the fabulous kits and other products available....... and remember to use this code TR5 to get a little discount. 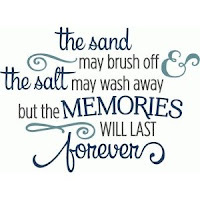 Well we have just finished another birthday in the Symon's house with a BIG 16th to Emma. 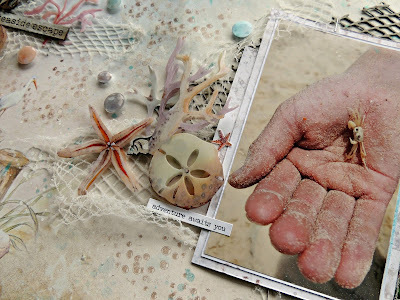 Today I have a couple of shares. 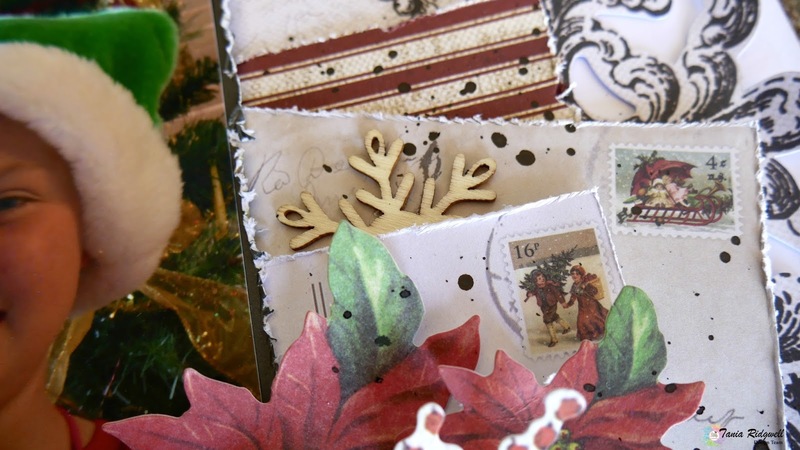 I love receiving my Crop Kit in the mail each month. These 2 creations are using the Sept 2017 Kit. 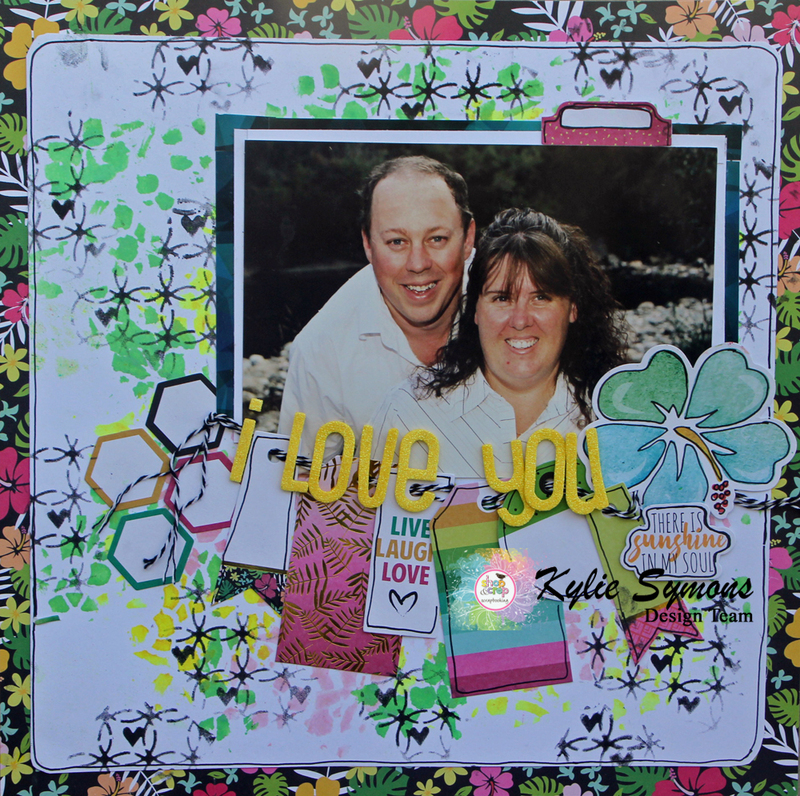 There is so much product in these kits plus left overs to do more layouts or cards. 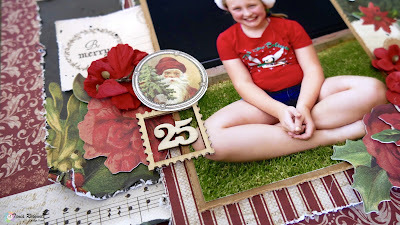 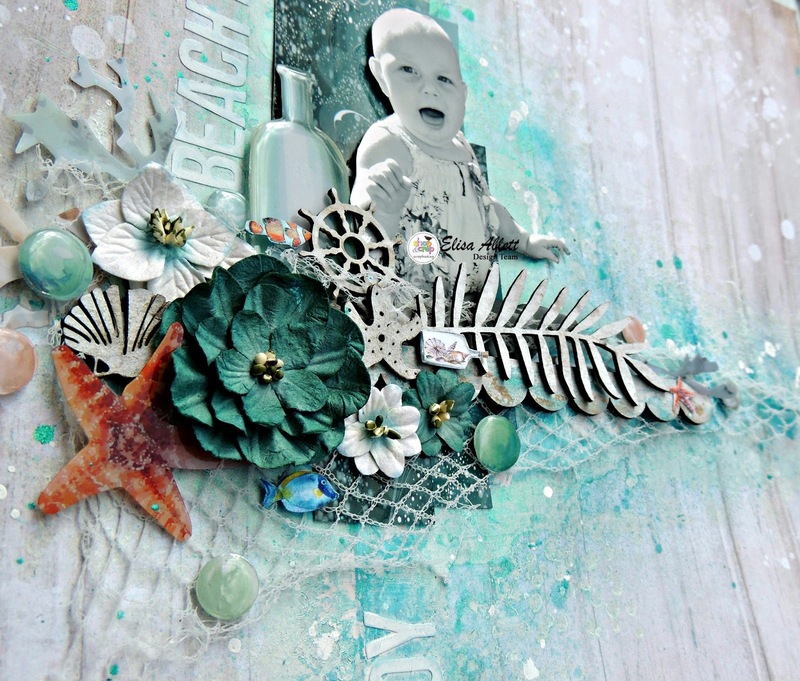 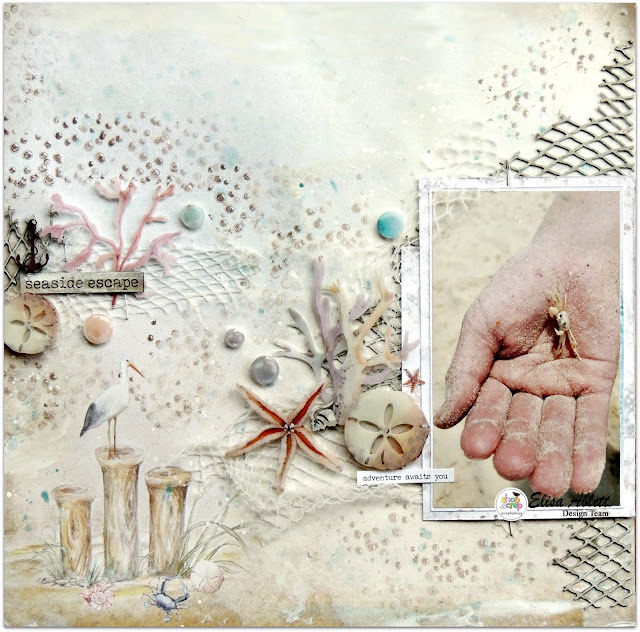 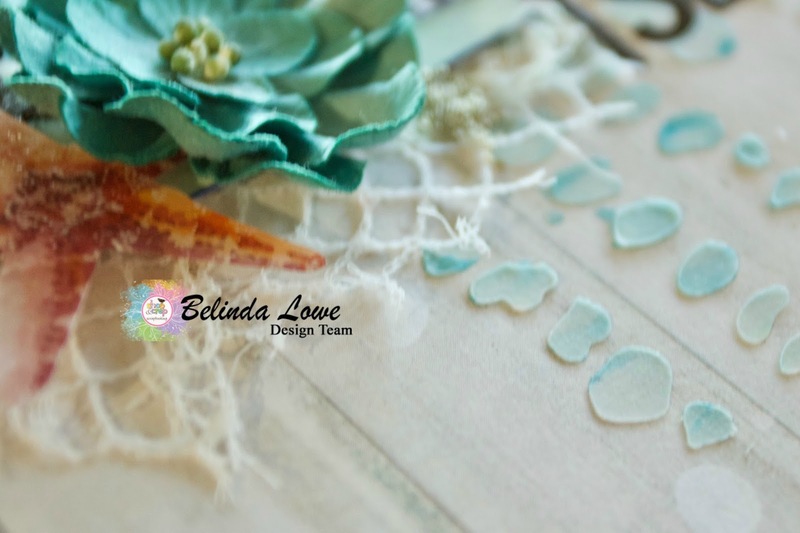 I have used the lindy stamp gang shakers for various parts in my backgrounds. 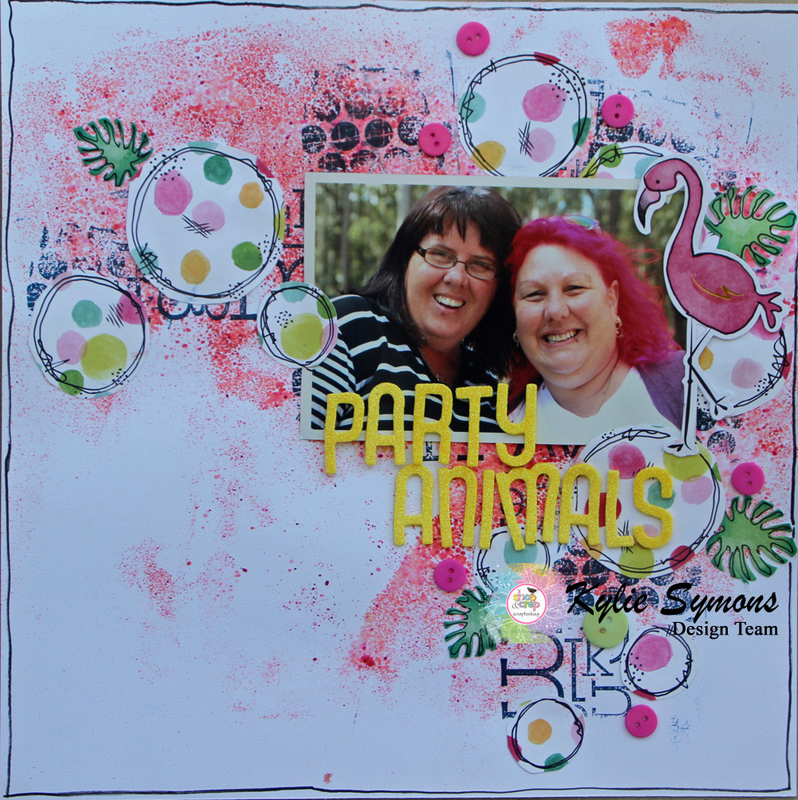 I have created the background by sprinkling the shakers onto acetate and then placing the white cardstock on top. then I have used some stamps in the background. I have sprinkled the shakers onto some acetate and then using a paint brush and stencil I have created the pattern for the background with 2 colours. 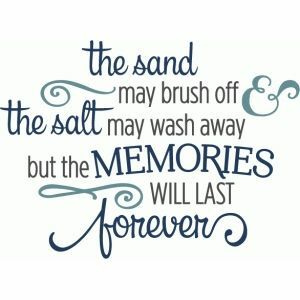 Well I hope I have inspired you all today. 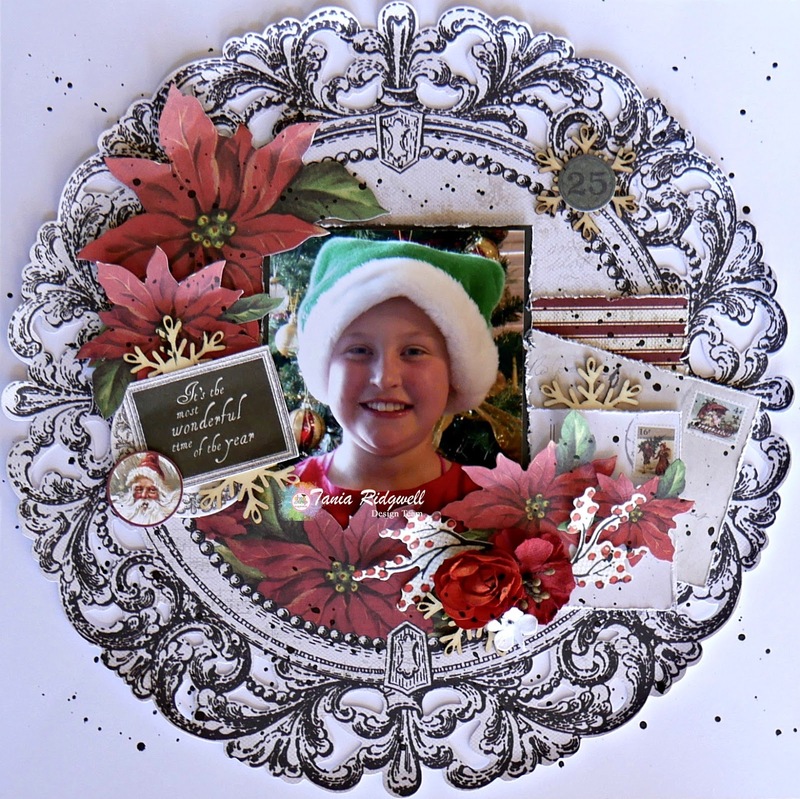 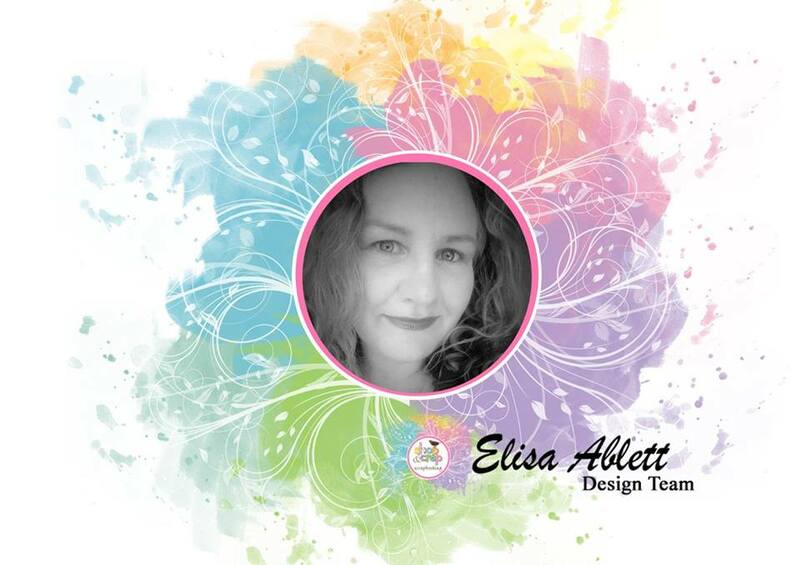 Elisa here from the design team with my latest layouts featuring the November Cropaholic Kit and bits and pieces from my stash. 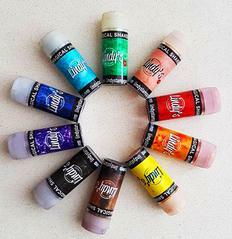 This is the link to the kit in the shop. 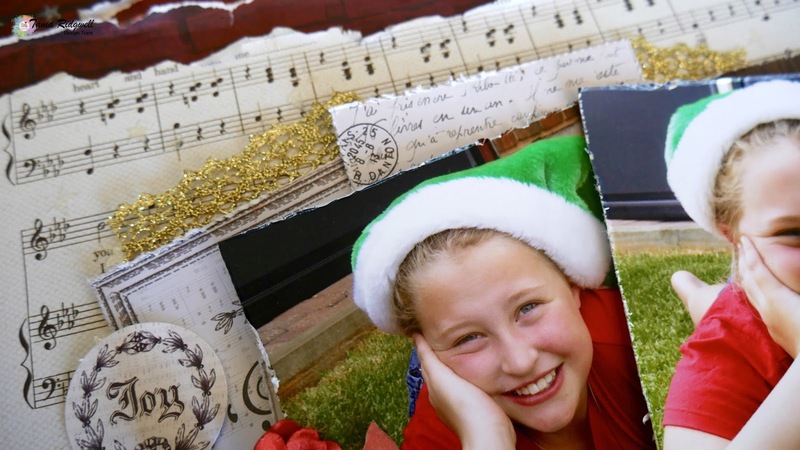 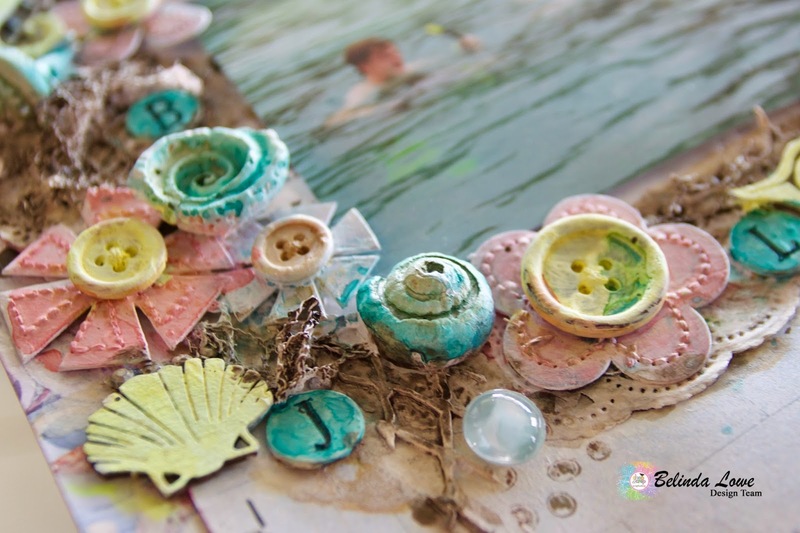 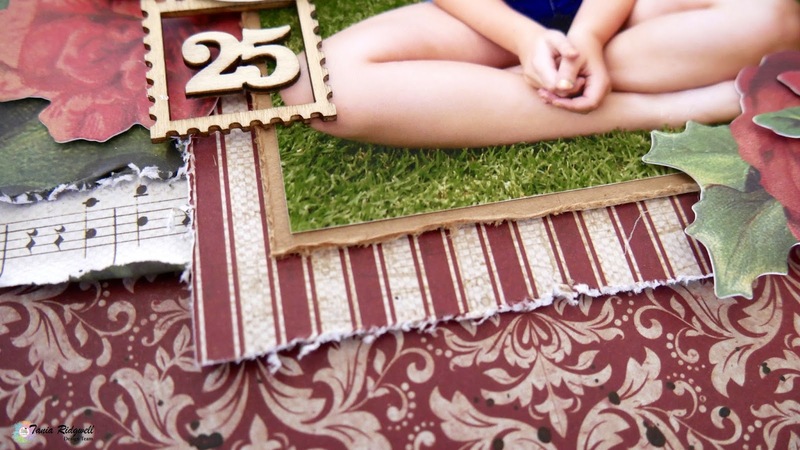 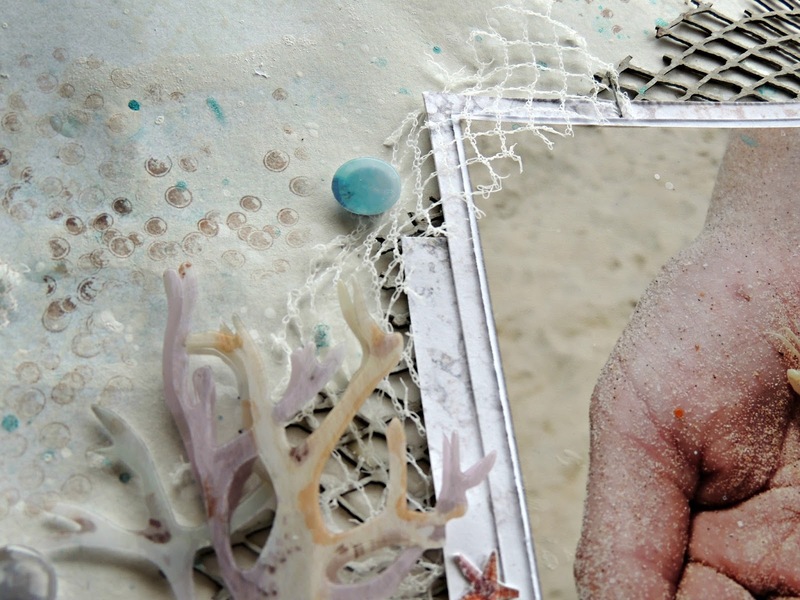 Make sure you use the code EA5 if you put in an order to Shop and Crop Scrapbooking. 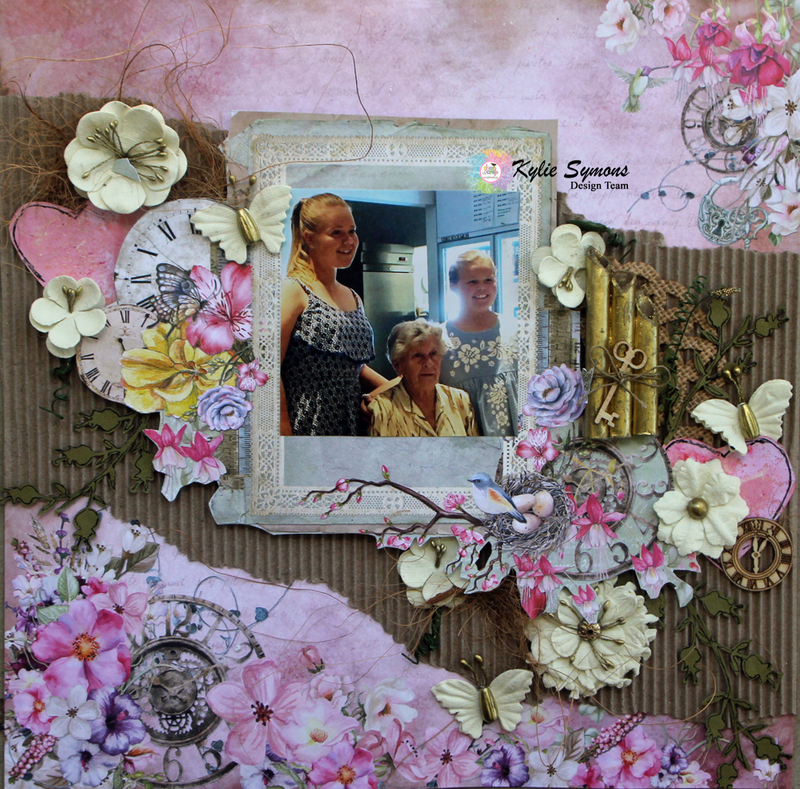 I was lucky enough to be able to design a few different layouts with the kit as well and this is the first of my designs! 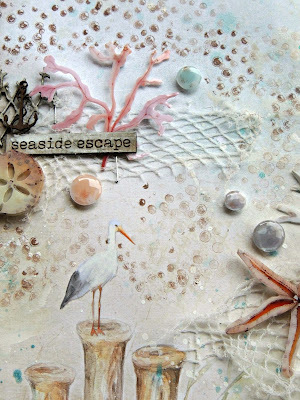 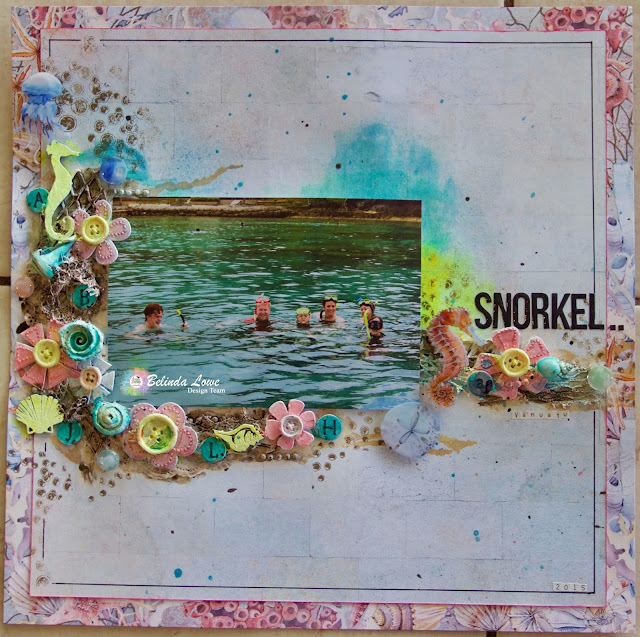 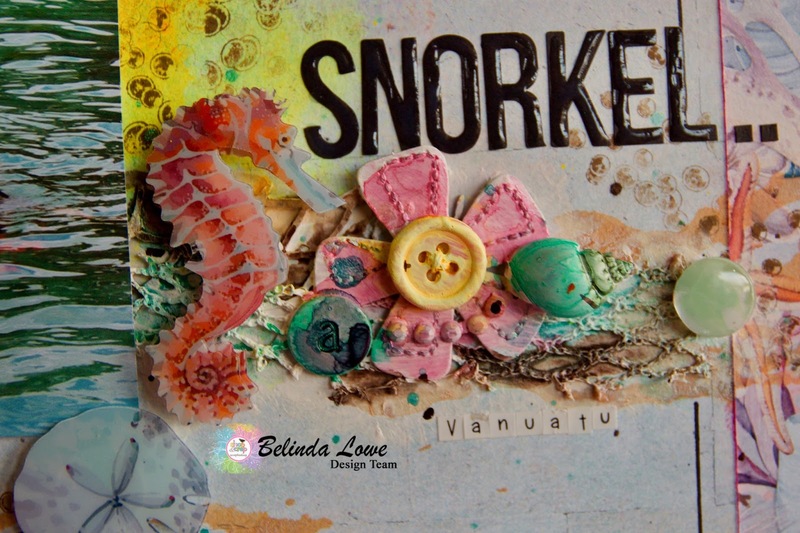 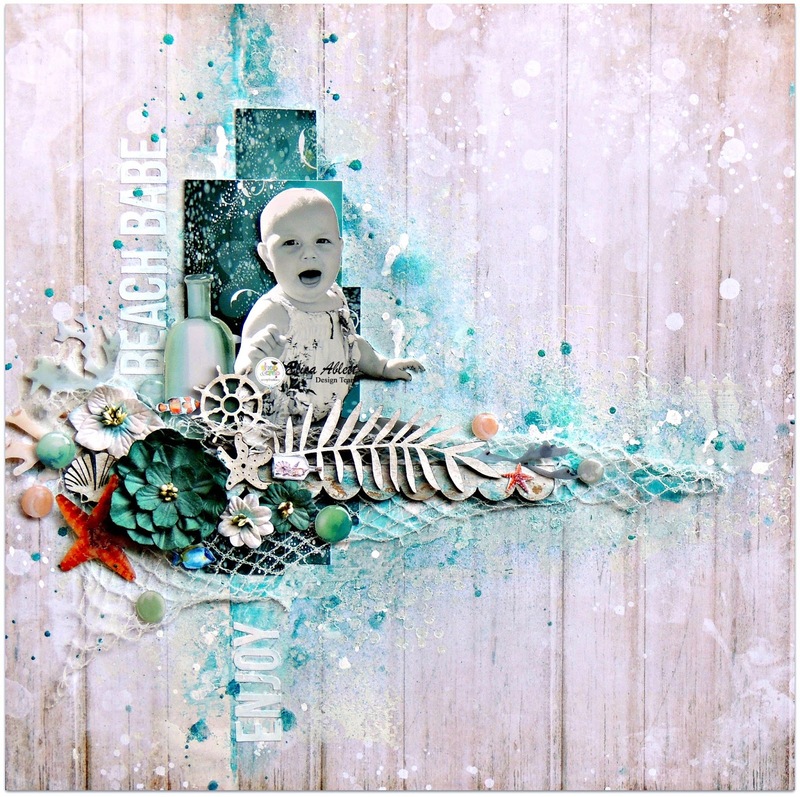 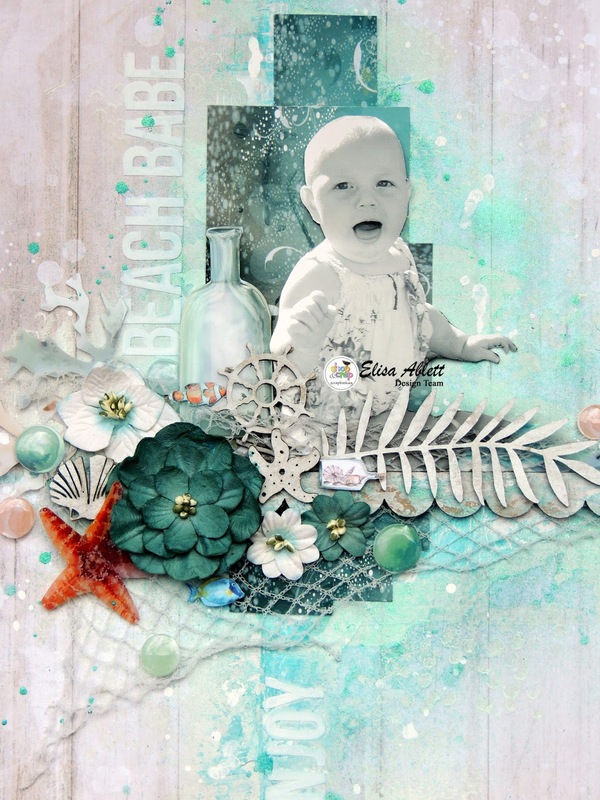 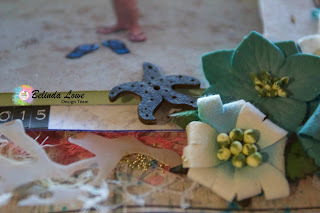 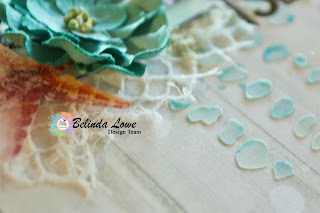 If you are a subscriber, as a bonus you will have access to my step by step instructions for this layout 'Beach Babe'. Here are some close ups of the finer details. 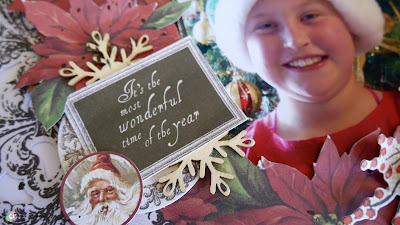 Well that's it from me today, I hope you have enjoyed seeing what you can create with your kits and a few extra pieces.